One of the most interesting trips out of Peekskill is on the famous “Emeline”, running from Haverstraw to Newburgh, and touching at all intermediate points along the Hudson, including Peekskill. The Captain, D. C. Woolsey, has been in continuous service on the river for sixty-four years, and has been in constant service on this route for forty years. This vessel was used as dispatch boat for the U. S. Government during the Civil War and was known as the Nantasket, operating on the James and Potomac Rivers, many times carrying the hero of the Civil War, Ulysses S. Grant. The vessel has been practically rebuilt since that time and is, now in excellent condition. Passengers and freight are carried. 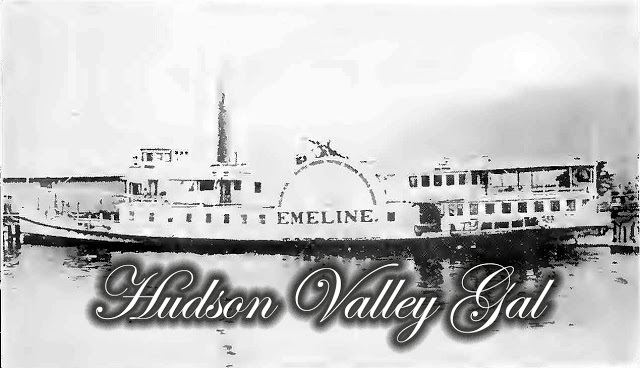 There is no more beautiful way of viewing the Highlands of the Hudson than on the Emeline. This entry was posted in Civil War, Emeline, Gems of the Hudson, Haverstraw, Newburgh, Peekskill, Rockland County, Ships and Vessels, Westchester County on August 29, 2012 by hudsonvalleygal.